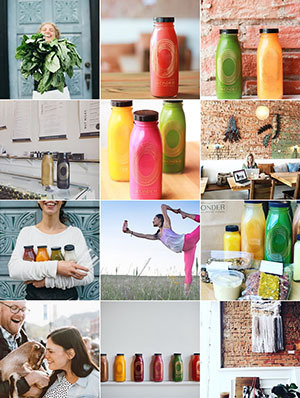 Wonder (@wonder_juice): Wonder Press is a hip shop on the West End that has perfected the best juices! Stop by for juices, smoothies and coffee. My personal favorites are the Ginger Apple juice and the Golden smoothie! Stay and get some work done in their positive atmosphere or take your drink on the go! Try their flu shot juice, it's guaranteed to help your system at this time of the year. 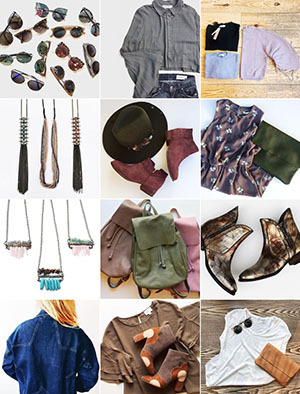 Common Era (@commonera): At Common Era you can browse all the latest trends and you can even shop straight from their Instagram page! Upgrade your winter closet with some pieces from this fashion-forward shop, and you’ll definitely stand out. Last week I purchased mittens from Common Era and they are both warm and very cute! Alpine Modern Shop + Coffee Bar (@alpinemodern): You can’t talk Instagram without talking about Alpine Modern. Their Instagram mirrors the feel of their store, which is crisp, inspirational and simply put - great design. The Alpine Modern Gift Shop on the West End is the perfect stop to grab some Colorado-inspired holiday gifts! The Honey Pot (@boulderhoneypot): The Honey Pot is a skincare and wellness spa that focuses on positivity and self-love! 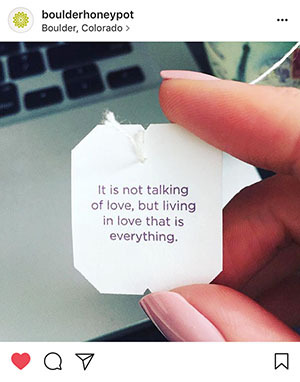 Check out their Instagram for inspiring quotes and uplifting mantras to brighten your day. The Honey Pot uses all organic products, and believes that in addition to a clean face, beauty comes from within. 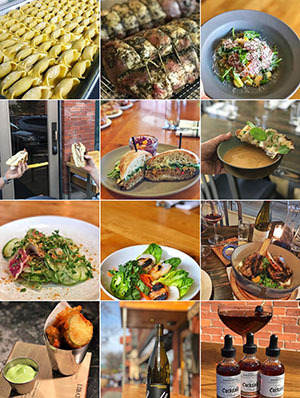 OAK at fourteenth (@oakatfourteenth): OAK is a Boulder-favorite, and one of the most delicious Instagram pages to look at. As a self-proclaimed foodie, I love browsing pictures of food, and they feature some of the processes behind their mouth-watering plates. Scrolling through OAK’s page, you will be more than tempted to head strait there for a bite to eat! 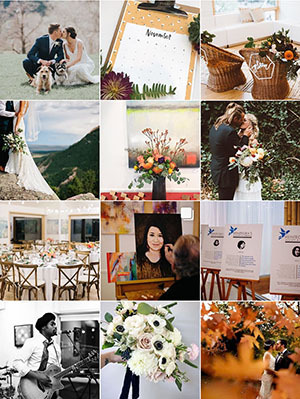 Rembrandt Yard (@rembrandtyard): My all-time favorite downtown Instagram account is Rembrandt Yard (which may be due to the fact that I love everything about weddings). Rembrandt Yard is an art gallery, as well as an event space perfect for not only weddings but holiday parties, meetings, birthdays and more! 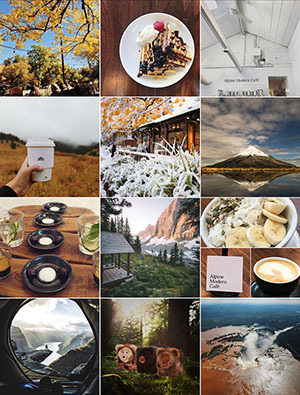 Their Instagram photos are all gorgeous and create a lovely, dreamy feed. And last but not least, remember to follow @DowntownBoulder for all things downtown!